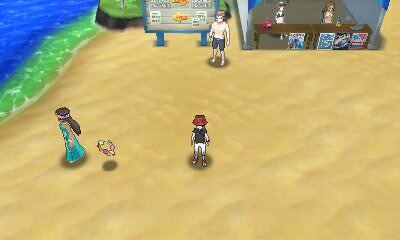 Walkthrough: You will arrive in Akala Island on Heahea Beach. This is a small location just off of Heahea City, where you can play Mantine Surf and find Samson Oak after collecting the Totem Stickers across The Alola Region in order to receive free Pokemon. There is not much to this beach, as you will simply use it to reach Heahea City to find Lillie and Professor Kukui.